It was once believed that in order to be efficiently cooperative and productive, team members would have to be located and working in the same room together. This is, of course, no longer the case. The advent of technology, software and online tools has allowed managers and project leaders to effectively work and collaborate with a team in the virtual world. No matter how a virtual team communicates, or even what continent they're on, a team should be understanding of project goals, objectives, and should be able to get just as much done as if they were sitting side by side each other. It's the responsibility of the project manager to ensure everyone is focused and meeting deadlines accordingly. But because creating a virtual team is so new, it can be confusing, and even a hassle when it comes to effectively managing and guiding the team members. And, because of the constant flow and always-changing aspects that go into a continuous business project, it makes management that much more of a burden. Here are five proven and effective techniques a project manager can implement to better manage a virtual team. Create and communicate to the team each of their individual roles and responsibilities. Ensure each one knows what the other team member is responsible for, and make sure they know and realize whose job effects whose, and why. Communicate clearly to the team members each of their daily, weekly, bi-weekly and monthly goals. Even before the day the project is initiated, a few common ground rules should be clearly laid out for the team members. This is especially true for virtual teams, since it's easy to veer off track and become unproductive. Establish what is expected of each member and the team as a whole, and what the quality of each task should look like. Conveying the importance of status reports, establishing scheduled work hours, lunch break hours, and conference call times are essential to the short and long-term success of a virtual team. Be thorough in explaining every aspect of what's required. Make sure everyone knows the exact time that content and tasks should be delivered. Sticking to a holistic approach and reminding the team of deadlines the day before they're due is not only risky, but it compromises the task's deliverability and quality. It's vital for the project manager to communicate with his or her team constantly. Leaving someone in the dark can end up being catastrophic for the project. And although the virtual team manager should have a direct and clear channel of open communication for the team, it's important to stay away from micromanagement. Trust the team to make the right decisions, and allow teams a way to communicate with each other, if and when necessary. It's pointless to create or be in charge of a virtual team when the right technology is not in place. Technology is the anchor to any proactive and communicative virtual team, and it's important to choose the right one. Sure, conference calls, webinar meetings, and instant messaging tools are great for making sure everyone is on track and going in the right direction, but they lack in reliability. How sure is the project leader that his or her team is doing what they're supposed to? When deadlines need to be met, and productivity is a must, there should be nothing left to chance. One of the most cost-effective and reliable pieces of software currently out there is My Team Monitor. My Team Monitor is bar none, one of the best tools for the overall productivity of a virtual team. When active, the software records a team members working hours, letting the project leader know whose being productive and whose slacking behind. A team member's screenshots can be taken, and even key strokes and mouse clicks can be followed. This makes it easier to reward productivity and discover underlying problems. 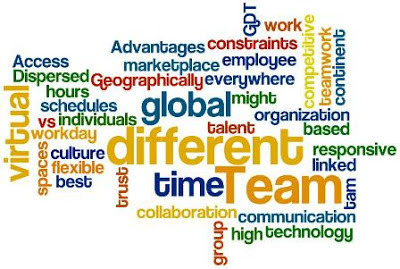 No matter the location of the virtual team and its members, and no matter the type of project it pertains to, My Team Monitor allows for peace of mind, and the simple transparency that a team leader needs when managing a virtual team. Neil Bachand has extensive experience with virtual team management. Neil enjoys sharing his expertise and insight on software blogs. Learn more about managing a virtual team at My Team Monitor.